Tell us a little bit about yourself, where you’re from, and your work as a therapist. I grew up in Irvine before moving to Ohio for undergrad, and then eventually lived in Chicago while completing my Master’s program. Despite the fact that I swore I would never live in Orange County again, my husband, Nick and I moved back to Irvine 4 years ago. I love being back and I am so grateful for the community of neighbors and friends we get to be part of. I work as a therapist for Cabrillo Counseling Center in Lake Forest two and a half days a week and get to spend the rest of my time at home with our 3-year-old son, Logan. Though I see a wide variety of clients, my work has focused on maternal mental health over the last few years. I’m also honored to facilitate a group for Doulas of Orange County called Balance After Baby. What is the “why” behind your work as a therapist? Why do you do what you do? I want to help people live their healthiest, fullest lives. I love seeing clients adopting new ways of thinking or simply just feeling heard for the first time. So many people don’t have a container for whatever it is they are going through or the things they’ve endured in the past. My office gets to be that safe space. I truly consider it an honor to support my clients through their journey and to be a witness to their personal growth. What do you find to be the biggest benefit of what you do? I think the greatest benefit of therapy is the relationship formed between you and your therapist. Without it, none of the other “work” can be done. It creates an atmosphere of trust and safety where you can be vulnerable and open to growth. I always say everyone can benefit from seeing a therapist... having an unbiased support person in your life to help give you perspective and hear you without judgment is never a bad thing! Can you share more about the “Balance After Baby” group you host in Irvine? Balance After Baby is a postpartum group for mamas with kids 0-5. It’s a space to connect with other moms, process experiences and feelings and simply be heard and understood. Motherhood is certainly not all sunshine and rainbows. It’s so important that we talk about the hard stuff and know that we’re not alone. I’ve been blown away at the transparency we’ve seen in the group and how comforting and supportive the ladies are of one another. 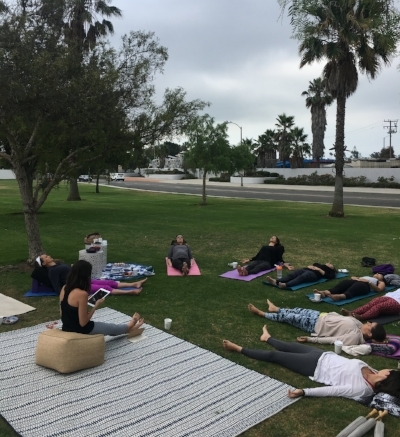 We meet the 1st and 3rd Fridays of the month at 11am-12:30pm at the Doulas of Orange County office in Irvine. Registration is $10 per meeting and is required at least 24 hours in advance. You can learn more on the Doulas of OC website. Babies in arms are welcome. What is the most satisfying part of your job? What is the most challenging? The most satisfying experience as a therapist is when client’s say, “I never talk about this” or perhaps they let themselves cry during a session. I do a silent cheer in my head during these moments because I’m so glad they feel safe enough to talk about and feel things that they usually keep inside. The most challenging aspect for me is that seeing clients back to back is quite fatiguing. I have to be really engaged and listening actively for 50 minutes, which can be tiring. If you could tell an expectant mother one thing, what would it be? Arm yourself with postpartum resources before baby arrives. Connect with other expectant mothers, find a postpartum support group and a lactation consultant. Hire a postpartum doula! We put a lot of emphasis on preparing for birth but often, that’s the “easy” part. Forming your postpartum support team is as important (if not more so) as your prenatal care visits. What is a common misconception people have about your profession? People often think therapists have all the answers and that we hold the secret to “fixing” whatever issue they’re dealing with. Clients are ultimately responsible for and have the power to change and my job is to help facilitate and support that effort. I often tell clients that if you only come to sessions and don’t do anything else, it’s only 30% of the work. Who has been the most important person in your life? How has this person influenced you? My dad has been the best example in my life. He is incredibly selfless, patient, has tremendous integrity, and has shown me nothing but unconditional love and support. He set the standard for what a father and husband should be, so I’ve always had high expectations for a partner. I know that his influence has greatly impacted who and where I am today. What do you see as the biggest challenge of parenthood? There are so many it’s hard to choose just one. I think not knowing "The Right Thing" is the most challenging for me. I’m a Virgo, we like control. It was hard having a newborn and scouring the internet for answers to my many questions. It’s hard now as we help our toddler learn how to be and act, always wondering if we’re using the right approach. Are we too “attachment parenty”? Not enough? Raising a good human feels like a lot of responsibility. How about the biggest joy? Watching our son grow and learn has been the most awe-inspiring experience. Logically you know that they’re going to do all the developmental things, learn how to walk and talk, become little people, but when it’s YOUR human doing these things, it’s really something special. We’re currently rotating House of Cards and Jane the Virgin on Netflix. However, once Game of Thrones is back I’ll be living for Sunday nights again. What is your favorite place to relax in Orange County? The beach is always the place I go to get my head right and relax. Right now our beach of choice is Table Rock in Laguna. 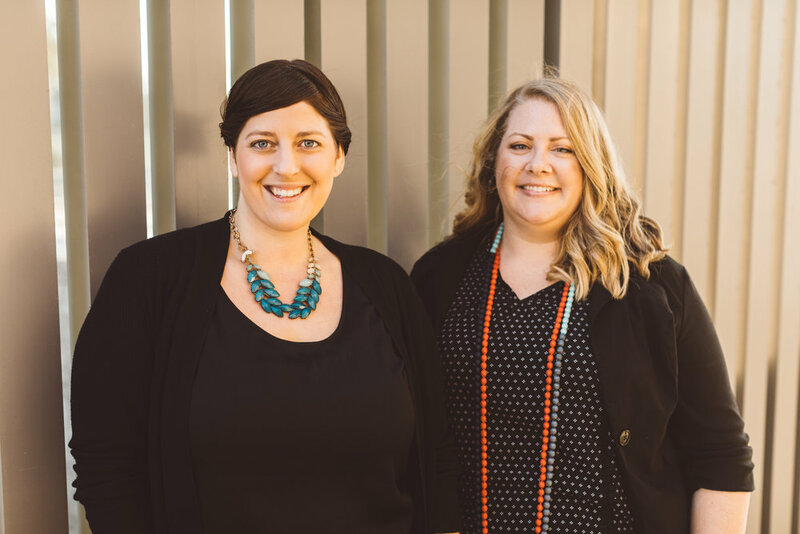 In addition to leading our bi-monthly postpartum support group, Lauren also offers individual and couples counseling sessions in Lake Forest. You can reach Lauren via her website and connect with her on instagram at @mama.therapy. 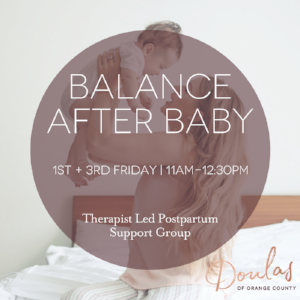 We also hope all you newly (or veteran) postpartum mamas can join us at Balance After Baby in Irvine on the 1st & 3rd Fridays of the month. 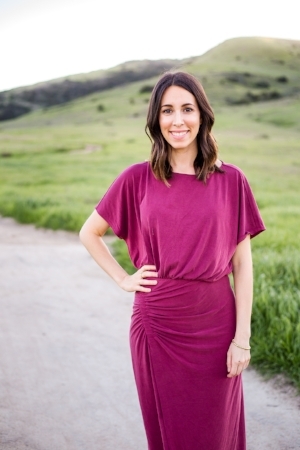 Next up on "In the Spotlight", meet one of our very own Postpartum Doulas, Ashley Mullen!